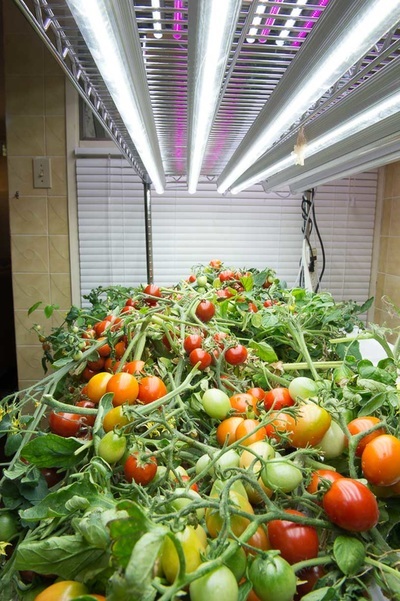 A four foot T5 grow light uses 54 watts of electricity and produces 5400 lumens of lights. It is a very efficient light which greatly reduces operating costs. 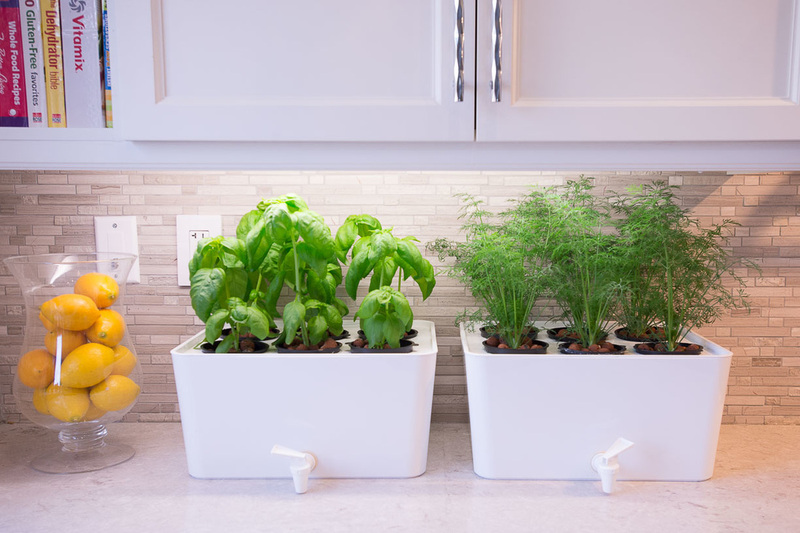 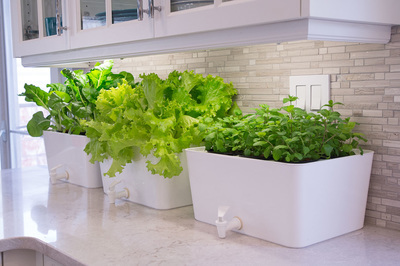 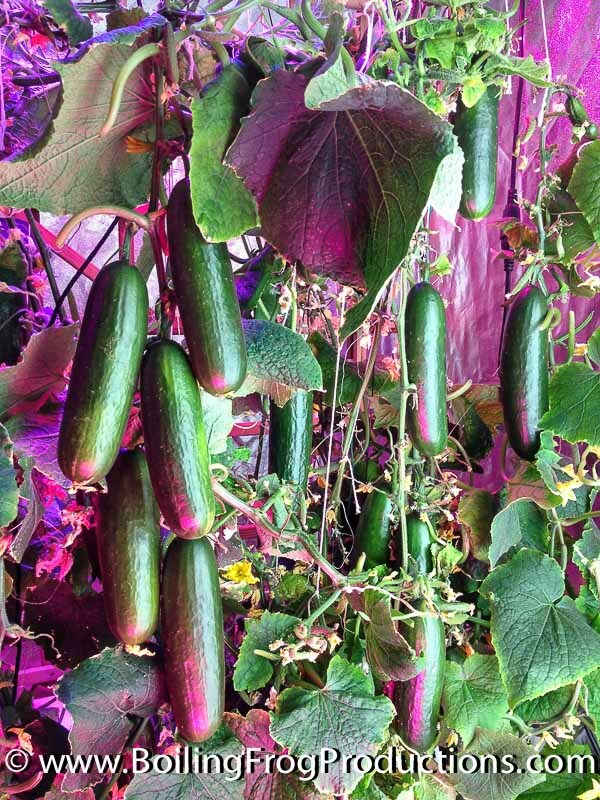 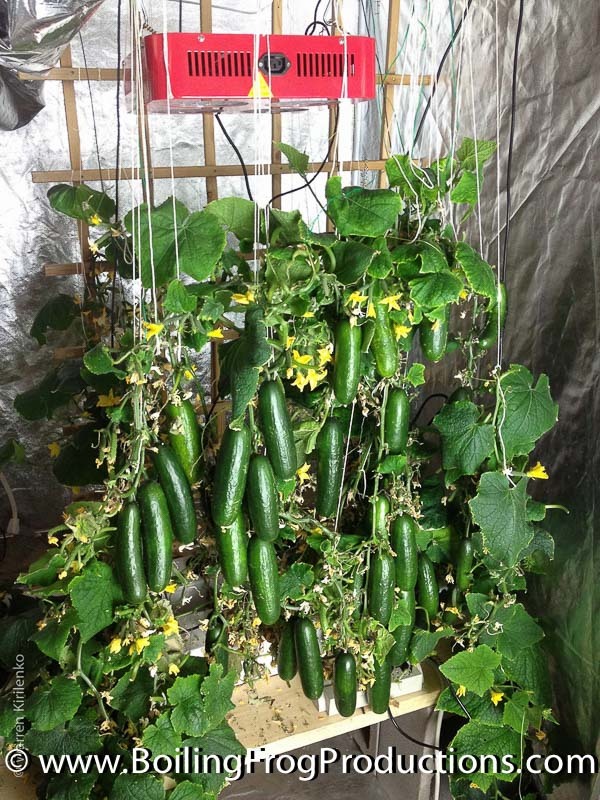 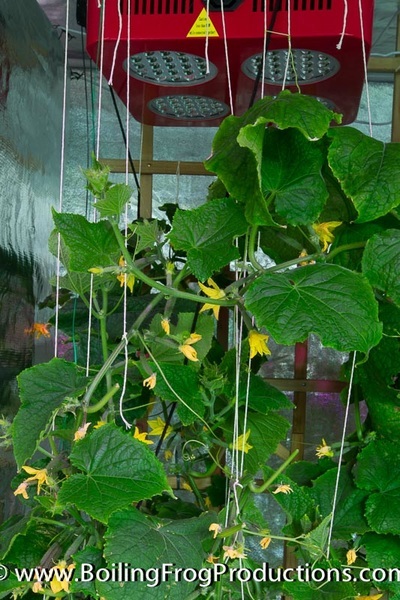 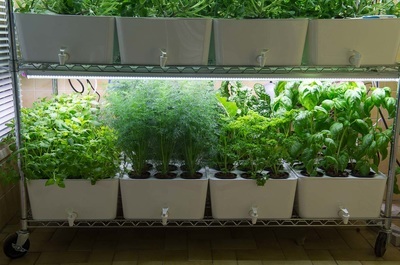 At 100 lumens per watt, these lighting fixtures have successfully grown tomatoes, cucumbers, various herbs, lettuce, flowers, and tropical plants. 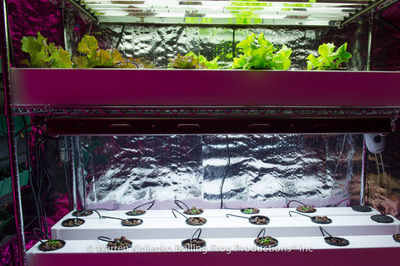 The T5 grow light is daylight-balanced, producing a light temperature similar to the sun at 12 noon. The daylight spectrum helps increase mood and energy levels, and can even aid Seasonal Affective Disorder. 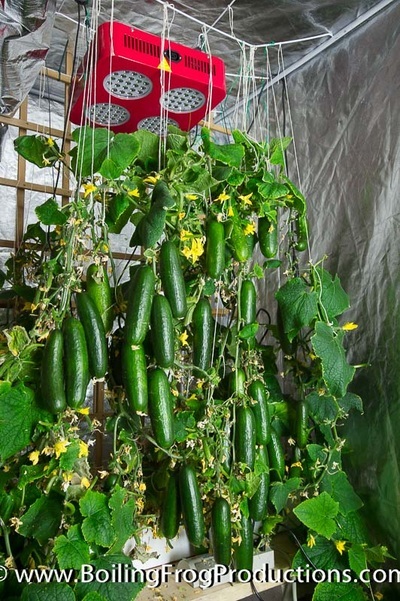 They do not use fans, so noise is not an issue. The system seen in the image was custom built by Boiling Frog Productions® and it measures 5' x 2' wide. One of the great advantage of a vertical system is that it takes up very little room (10 sq. 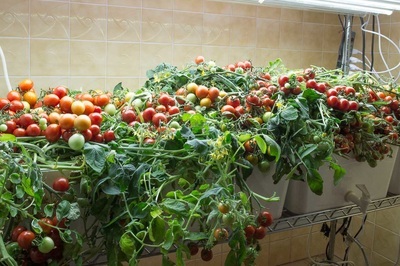 ft.) and is capable of growing 80 full sized plants. 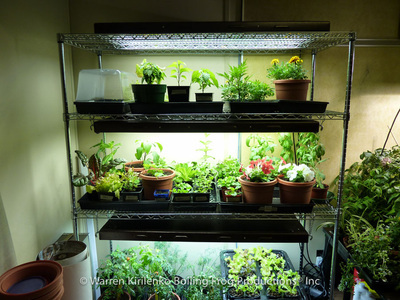 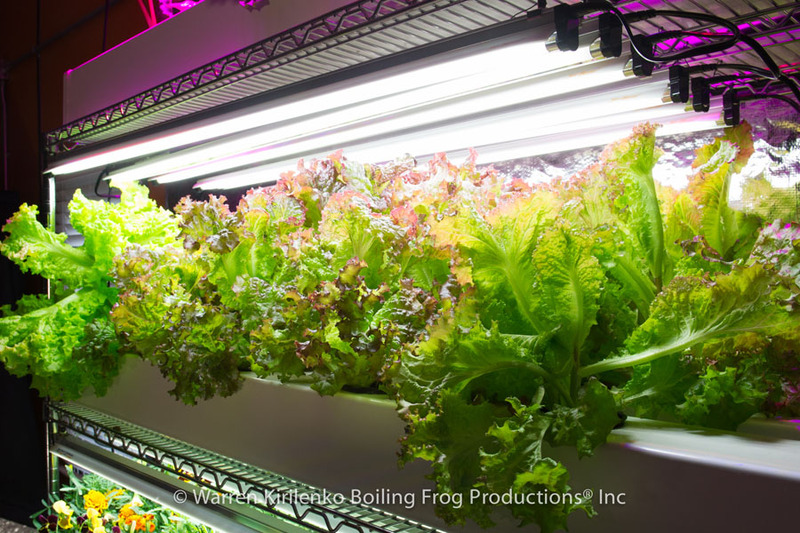 We used between four and six T5 grow lights per shelf and we were amazed with the results. 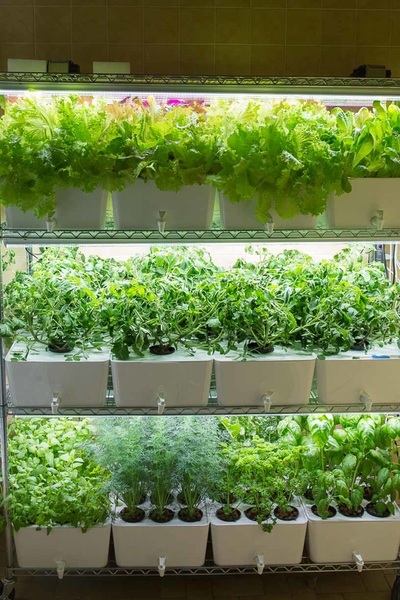 We grew various type of lettuce, basil, cherry tomatoes, cucumbers, mint, swiss chard, cilantro, dill, petunias, marigolds, and many other types of plants. 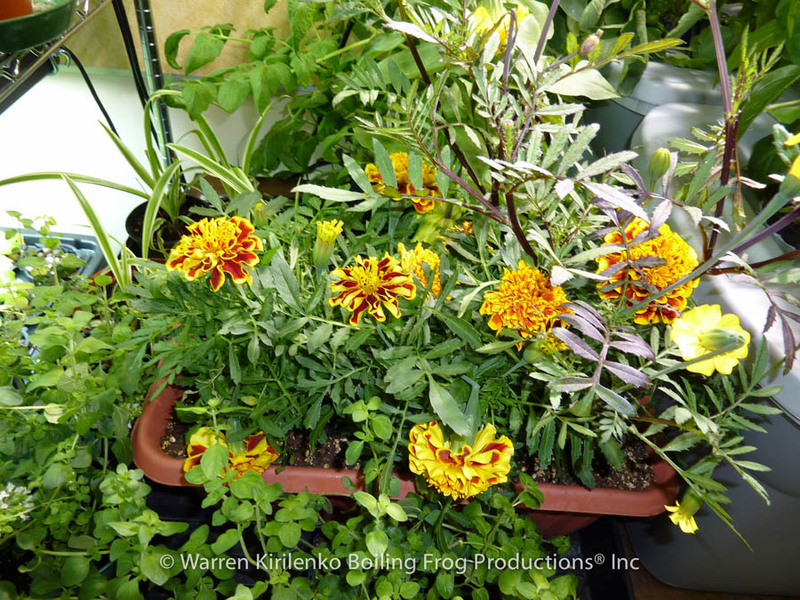 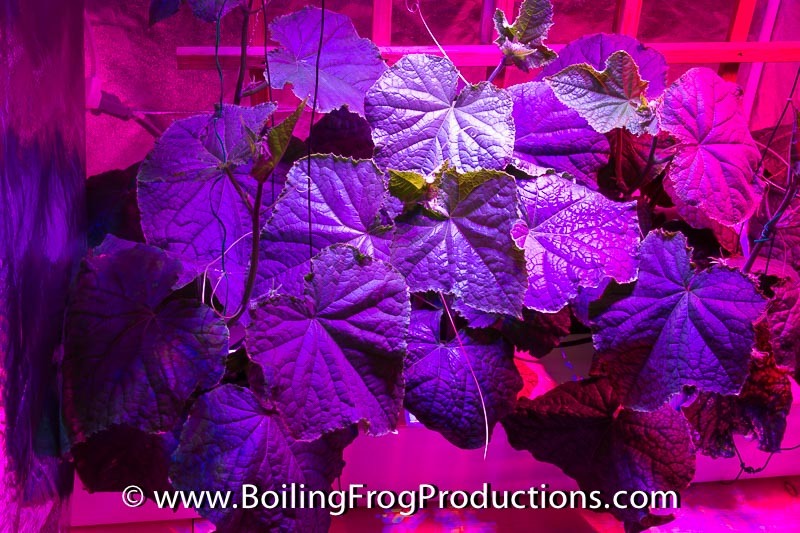 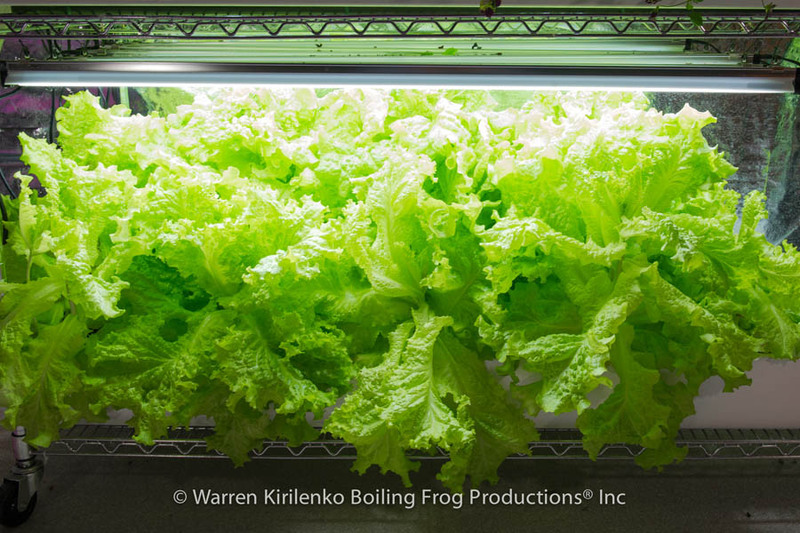 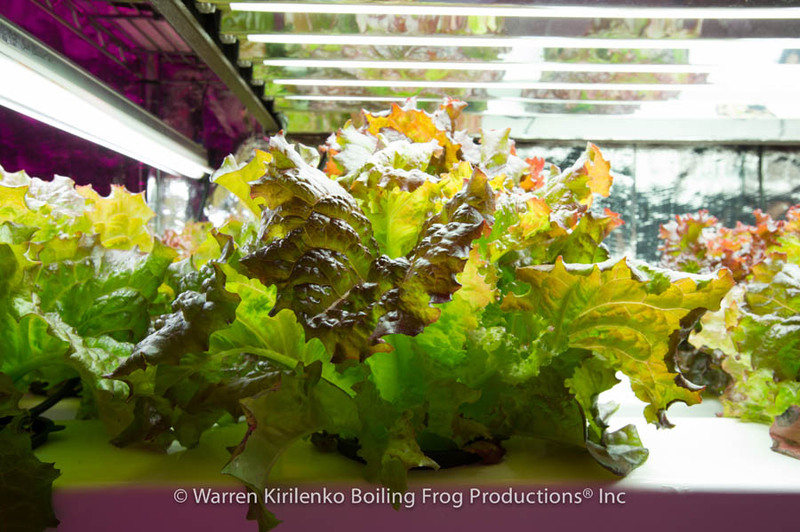 We have extensive experience in turning hydroponics into a profitable fundraiser for schools and the following information is accurate for where Boiling Frog Productions® operates. 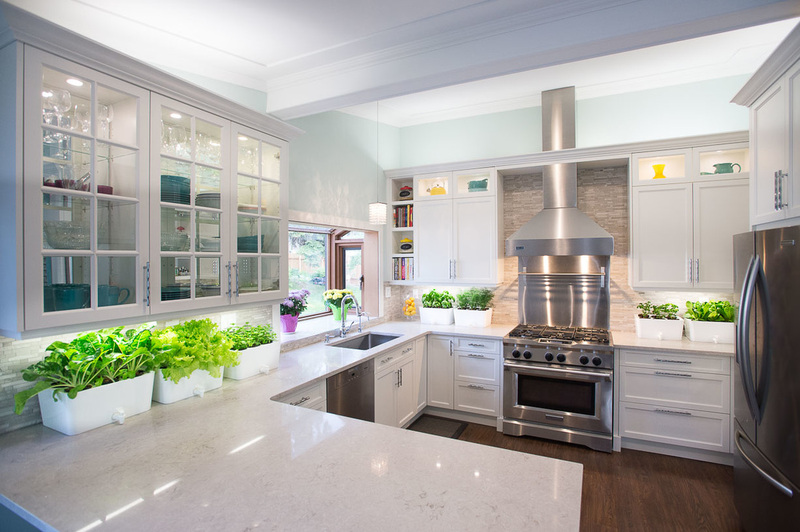 Due to regional price differences and varying electricity costs, these numbers could fluctuate. 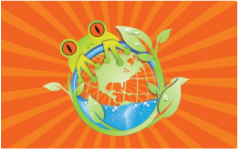 Our local cost of electricity hovers around 8.97cents/kWh. 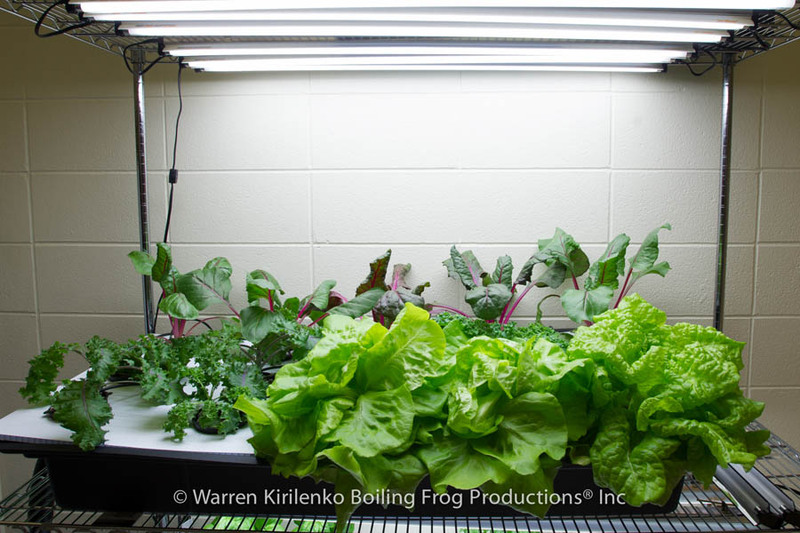 We ran our lights for 16 hours a day and could grow 20 heads of lettuce from the seedling stage in four weeks by using four T5 grow lights. 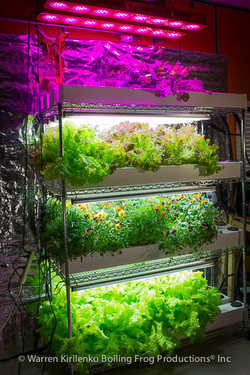 The four lights used a total of 216 watts and produced 21,600 lumens of light! 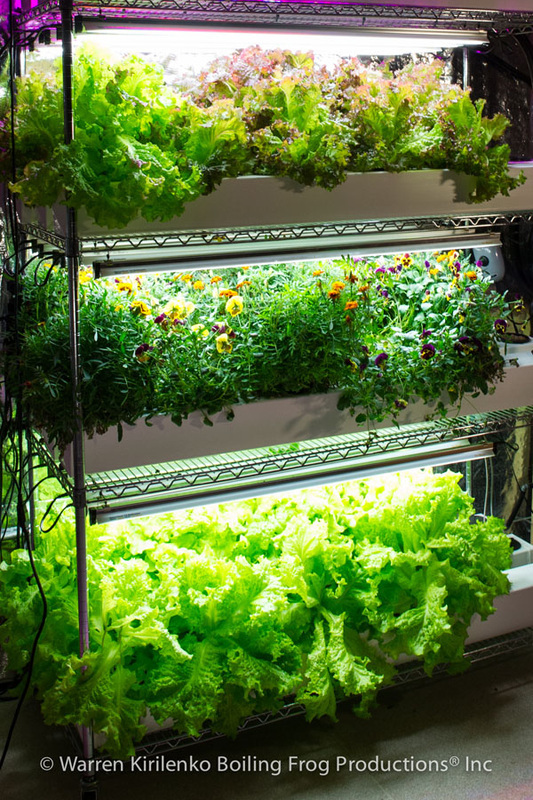 The operating costs worked out to $0.31/day, $2.17/week, and $8.68/month. 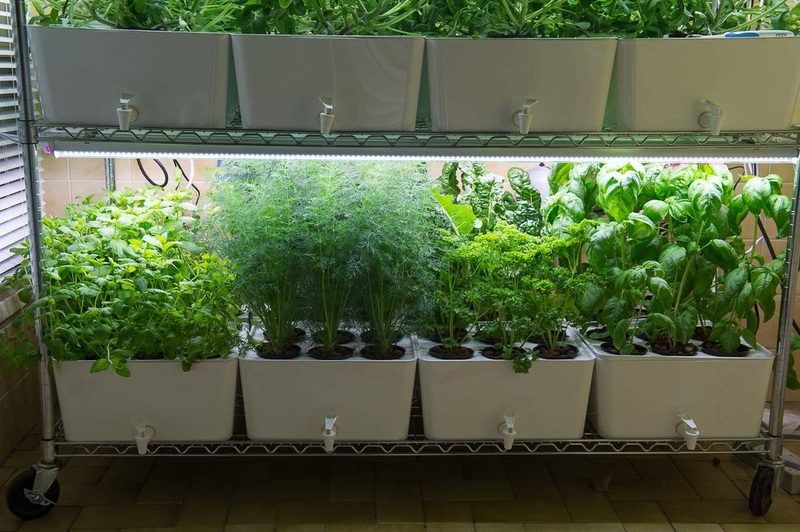 The costs of the nutrients and grow medium worked out to approximately $2.00. The total input costs to grow 20 heads of lettuce was $10.68. 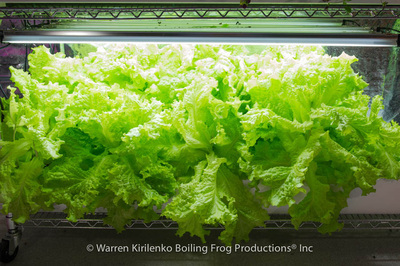 Grocery stores that offer organic varieties of lettuce sell them for around $3.00 to $4.00 per head, which would cost you up to $80.00. Although hydroponics cannot be certified organic because it is not grown in soil, we use organic seed and there is no need for chemicals when you grown it yourself. 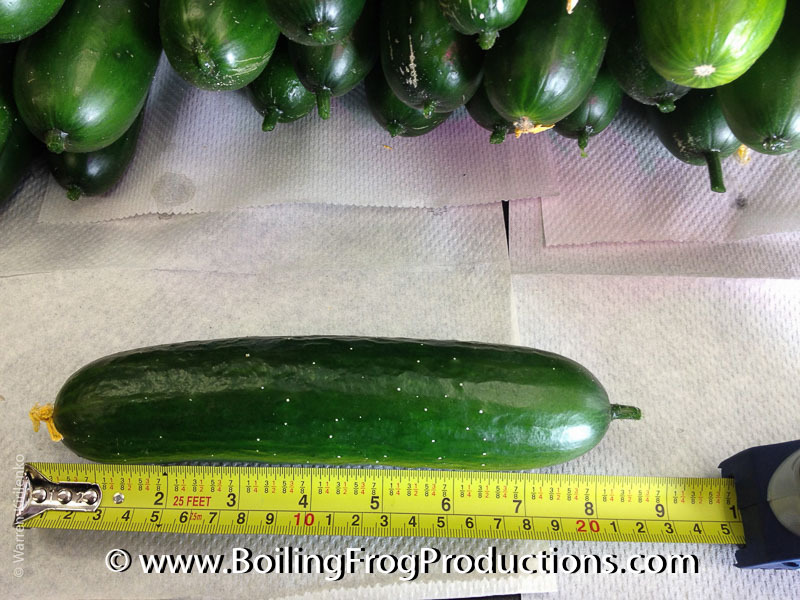 When you compare the cost of $80.00 vs. the costs of $10.68 when you grow your own, the cost saving is substantial! 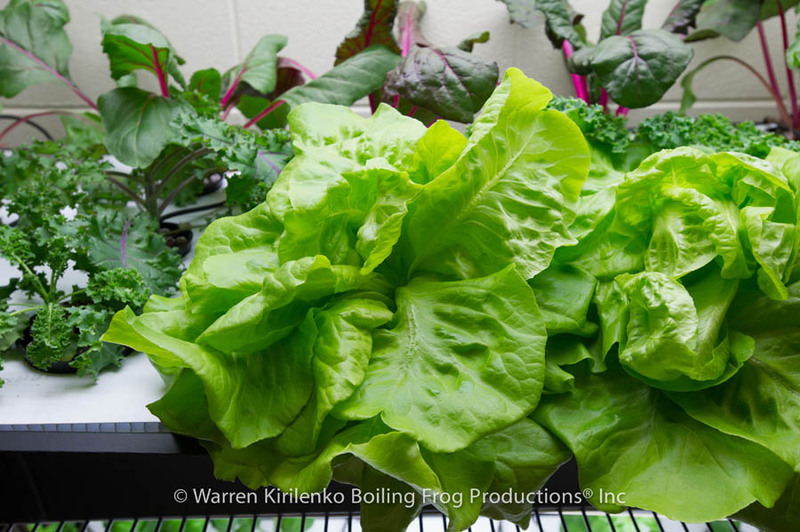 This lettuce was grown from organic heirloom varieties of seeds and we never use any fungicides, pesticides, or herbicides on our produce as we grow them in controlled environments. 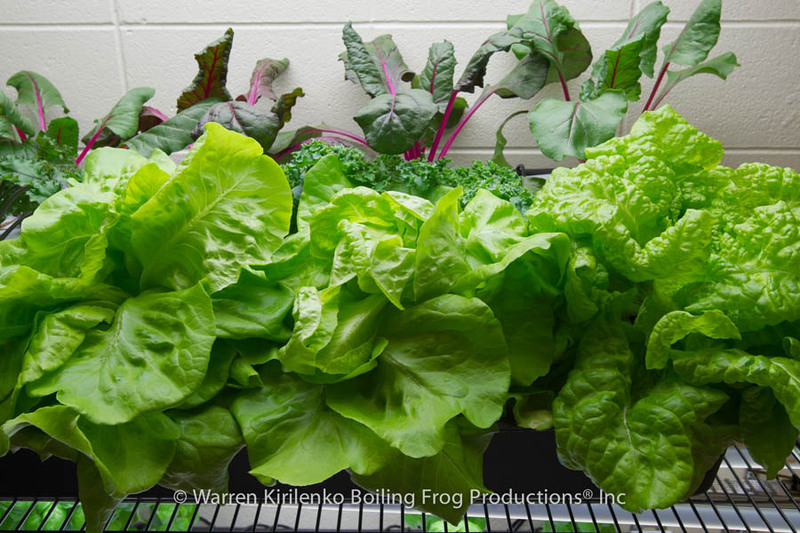 When we harvested the lettuce we kept the roots attached to the plant as the roots will help it stay fresh longer and retain nutritional value. 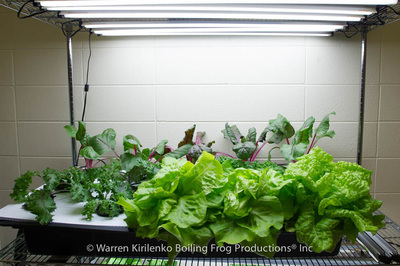 The lettuce easily sold for $3.00 a head and the school in which we implemented this model could never keep up with the demand. 20 heads of lettuce sold for $60.00, which would produce a profit of $49.32. 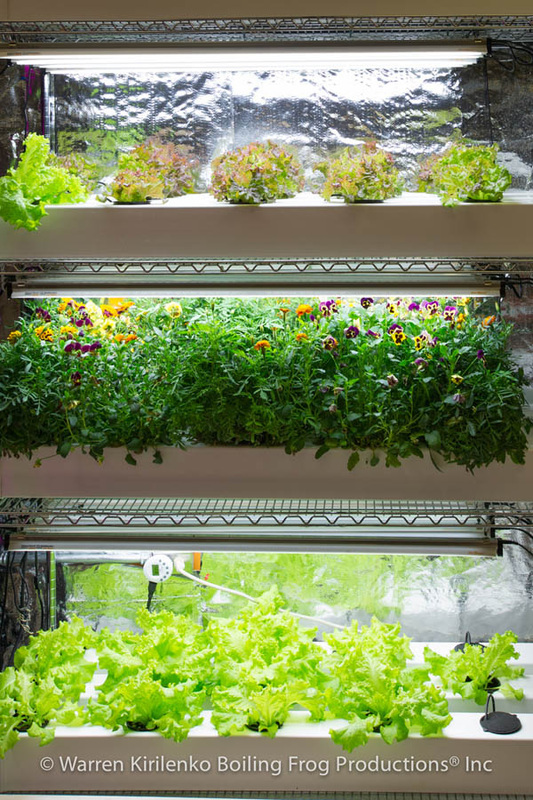 When all shelves were utilized for just lettuce on our vertical system, 10 sq. 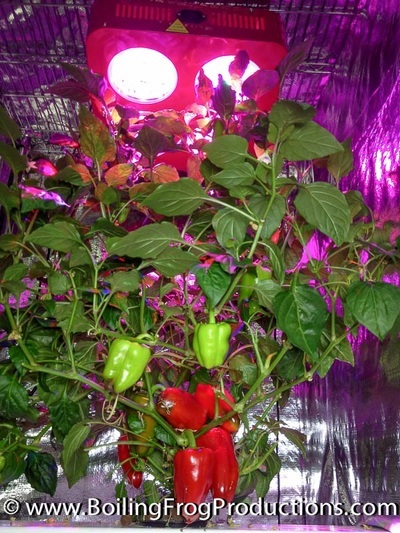 ft. of space produced $197.28 a month in profits, since the system grows 80 plants. Imagine if a school maintained 10 of these systems; the profits would be $1,972.80 a month. 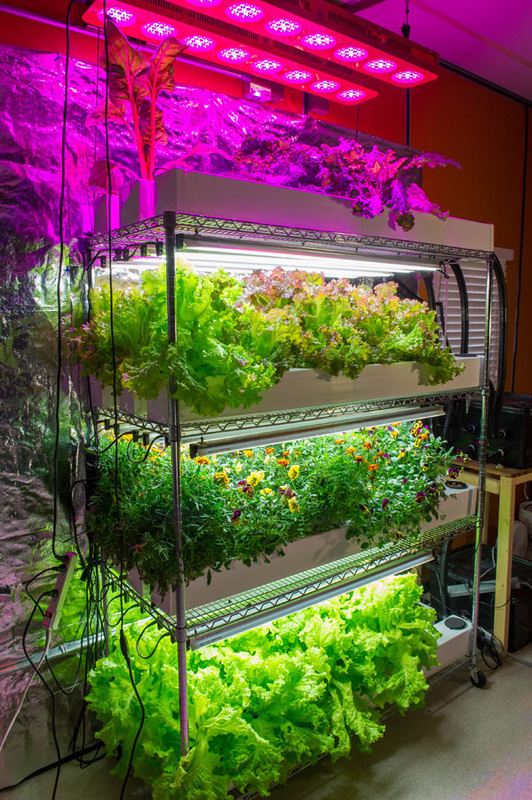 If 20 systems were used profits could be $3,945.60 a month. 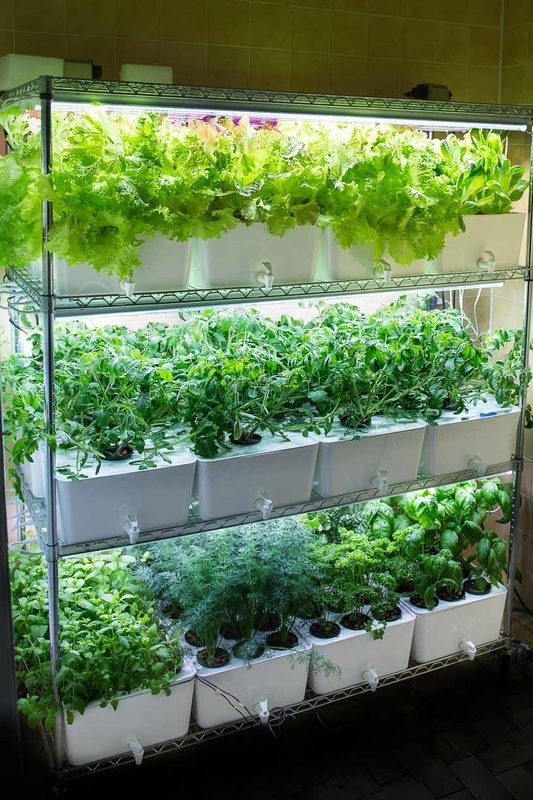 For many mid-sized schools, $4,000.00 a month equals their operating budget to run the entire school!